Been thinking about running? It’s free, it’s fun, so why not run? 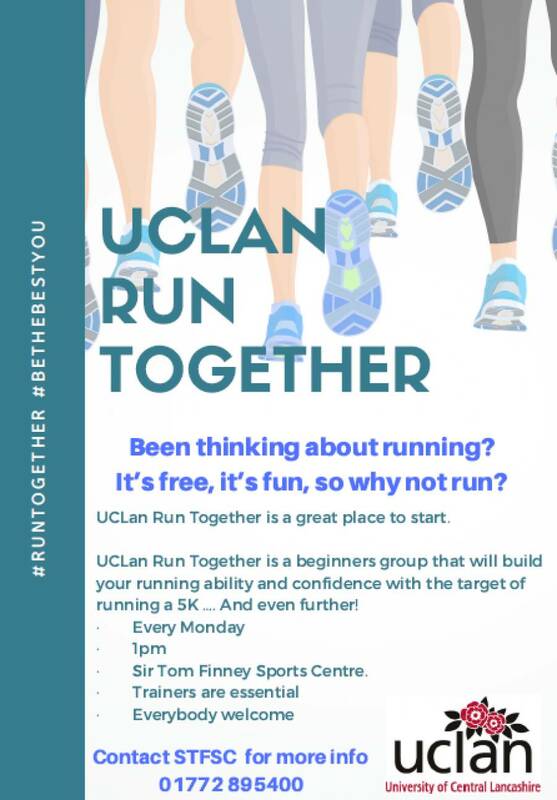 UCLan Run Together is a great place to start. Your running ability and confidence with the target of running a 5K …. And even further! · Sir Tom Finney Sports Centre. Contact STFSC for more info 01772 895400.